Sparkling winter baubles, embellished with gold snowflakes and a sprinkling of snow within - these lovely decorations add a stylish and practical touch to your celebration table. 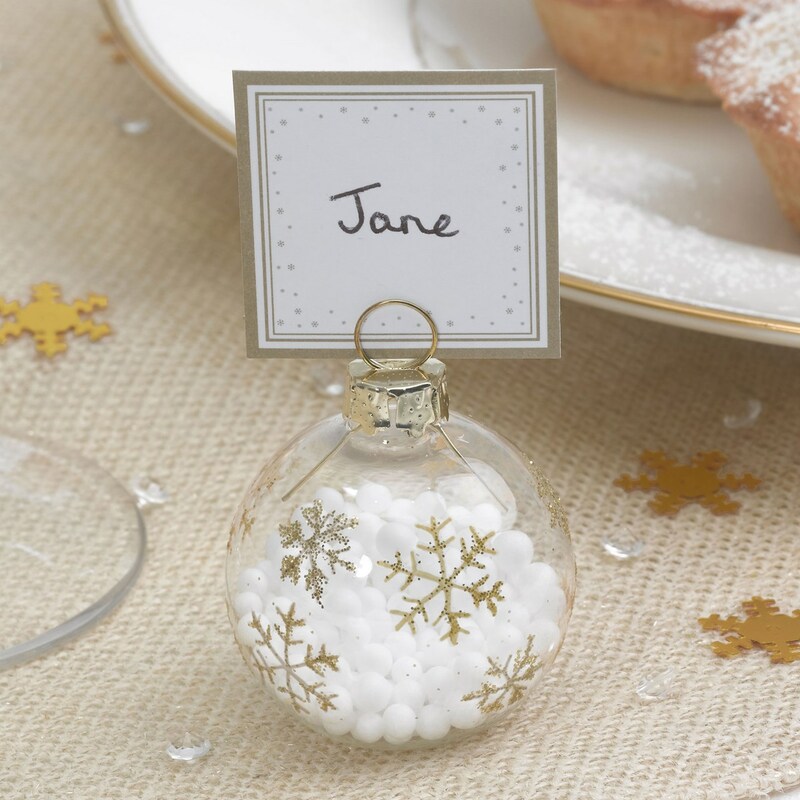 Each bauble holds a square of card (available separately) in a co-ordinating gold and white design, with plenty of space to write in your guests' names. A stylish way to direct your guests to their seats.